November saw Google Inc. (NASDAQ: GOOG) close in on the $1 billion investment mark in renewable energy with a $75 million equity stake in an Iowa wind farm—this week it soared past that benchmark with a $200 million investment in a Texas wind farm. Is Google that concerned about our energy future? Certainly not, but renewable energy makes sense for the bottom line of a company that consumes as much energy as 230,000 residences at one time. While it consumes as much energy as 230,000 homes, its operational renewable investments have the capacity to produce enough power (2 gigawatts of electricity) to keep 500,000 US homes going every year. Not only does Google need to cut its own energy costs, but its futuristic team also believes that these investments will be profitable down the road as demand for cleaner energy rises. So the latest renewable investment under its belt is the Spinning Spur Wind Project in Oldham County, Texas. This panhandle wind farm is being developed by EDF Renewable Energy and will have the capacity to produce up to 161 megawatts of electricity once online. Spinning Spur was completed last month and consists of 70 wind turbines with a 2.3 megawatt capacity each. The project has hit the ground running—construction had begun only in June last year and is already finished. It comes along with a 15-year contract to sell the wind power it generates to Southwestern Public Service Company, owned by Xcel Energy. Spinning Spur represents Google’s second largest single renewable energy investment to date, at $200 million. The largest is SolarCity, in which Google has invested $280 million. The next largest are BrightSource solar project in the Mojave Desert ($178 million) and the Alta Wind Energy Center in Los Angeles ($157 million). 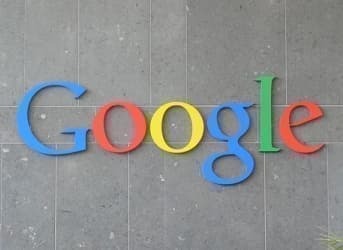 Google has also invested in a number of other renewable projects, including the 7,000-megawatt Atlanta Wind Connection offshore New Jersey and Virginia ($57 million), Shepherd’s Flat, Oregon wind far ($100 million), California’s Recurrent Energy solar ($94 million), and the list goes on from North Dakota to Germany.